Surf Air is the nations first All-You-Can fly private travel club providing unlimited flights to its members in exchange for modest monthly dues. With over 900 members and 350 more on a waiting list, Surf Air has now received the funding it needs to secure delivery of its first 15 Pilatus PC-12 NG in an exclusive partnership with the Swiss aircraft manufacturer. Surf Air currently offer flights to convenient airports in the San Francisco Bay Area, Los Angeles Metro Area, Santa Barbara and Truckee Lake Tahoe, with plans to expand service to parts of Texas and Florida. Recently recieving $65 million in investments courtesy of White Oak Global Advisors in addition to $17 million in current equity is being used to secure the order for 15 aircraft with an option to buy 50 more. White Oak is an investment advisor that has provided private debt financing to over 70 companies to promote and support growth initiatives. The PC-12NG is powered by a single Pratt & Whitney PT6A-67P turboprop and is known for its ability to efficiently carry a large payload with high personal comfort for passengers, and operate out of even remote airstrips. 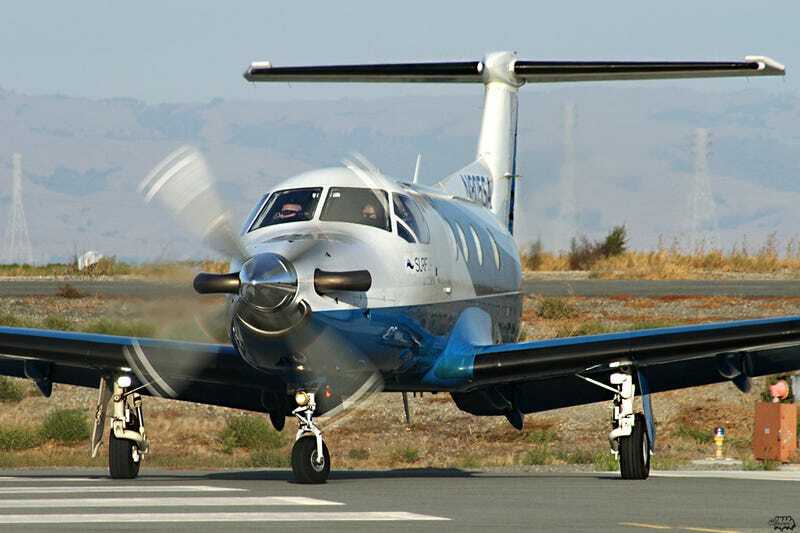 Most PC-12s are used as corporate transports, but recent regulatory changes have cleared single engine turboprops such as the PC-12 for regional passenger transport operations. This opens a new market for the PC-12 as a regional airliner that would replace older twin piston-engined aircraft. Surf Air has really shaken up the industry by stepping out of line with its unique membership based business model. Let's hope they can ride this wave clean and not get raked over. Photo by Chasen Richardson on flickr.